For those who’ve always wanted a garden, but maybe don’t have enough outdoor space or enough time to grow one, having an indoor garden is a great alternative, even if all you have to work with is the limited space of a dorm room. 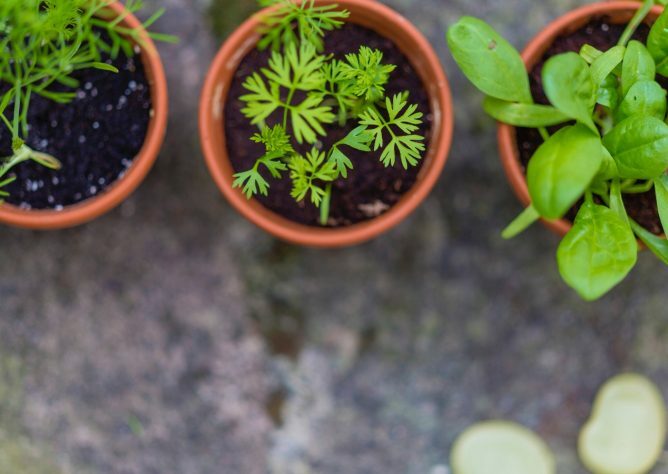 Not only is indoor gardening a way to grow some of your own food, but it will also help brighten things up with a bit of green during the dreary winter months. Having a nice crop of spinach and lettuce growing on your windowsill is a great way to have a fresh salad at your fingertips. Both spinach and lettuce only need about three to four hours of sunlight each day in moist soil and remain harvestable longer when kept in cooler temperatures, so you can easily grow them side by side. If you pair a loose-leaf variety of lettuce with your spinach, both will be good for a continual harvest throughout the winter. Mint is a lovely plant with a wide variety of uses, from flavoring teas and desserts to acting as a garnish. Fortunately, mint is also a very good choice for growing indoors as it is a plant that prefers partial shade. Mint does well in moist soil so you can water it a little bit every day, or around three to four times per week. The important thing is to avoid overwatering. Mint can be harvested continuously, but it is recommended you not take more than a third of the plant at a time. Basil is always a good herb to have fresh on hand, as it tends to lose some of its flavor when heated or dried. Basil likes to be warm and sunny, so keeping your basil plant in a south or southwest facing window would be a good option to give it around six hours of sunlight a day. It is important to keep basil in well-drained, nutrient rich, slightly moist soil and to not let the soil get soggy. When harvesting, it’s best to take from the top down. Chives can add a little spice to your life and are another easy-to-grow option for your indoor garden that can be continuously harvested. Like basil, chives also need a lot of sun and would do well in a south-facing window where they can get at least six hours of sunlight a day. They prefer a slightly humid environment, which can be provided by growing them near other plants, keeping a dish of water nearby, or misting them occasionally with water. Chives should be watered when the top of their soil is dry to the touch. Perhaps you can find some time to grow some thyme. Thyme can tolerate indirect light but prefers the sun. This makes it another good option for a south-facing window, so it can get six hours of sunlight a day. Because it is generally drought resistant, thyme needs well-drained soil and should only be watered when its soil is completely dry. The more this plant is trimmed, the more it tends to grow, so you can look forward to a continuous harvest. 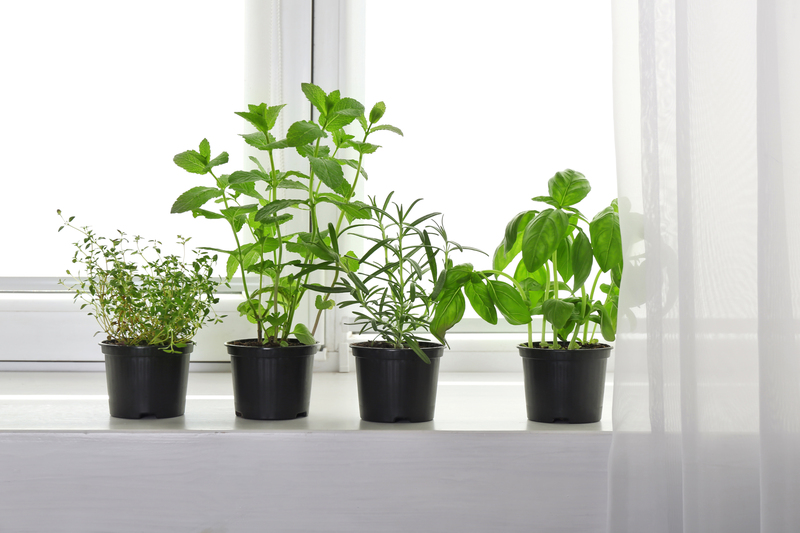 Managing your own little windowsill garden is a great way to reconnect with the food you eat. It can also give you a better idea of what kind of work goes into the food you didn’t grow yourself. While you are figuring out the proper soil conditions, sun requirements, watering schedule, etc. to help your plants grow, Ohio farmers are doing exactly the same, but on a much larger scale. Explore the modern innovations like precision agriculture, that are helping farmers grow more food more efficiently and sustainably. Discover five interesting facts about one of Ohio’s top crops: soybeans! How do different oils factor into a healthy diet? It all comes down to the types of fat found in the oil. We asked a nutrition expert to help us break it all down. Why is protein so important? Get this and other popular protein questions answered by a nutrition and dietetics professor. Mary Kate Waitkus wasn’t raised on a farm, but she’s pursuing a degree in agricultural communication at OSU to help farmers share their stories and consumers learn how their food is grown.